It is important to remember that when you are moving your mobile home, anything inside it needs to be secured in place so it does not fall and break during the move. If you have any dishes or other breakable items, they will need to be boxed up and placed in a safe location. Items in closets or cupboards will get jostled about, so if there is any chance of them falling or breaking, it’s best to just take them down and either transport them separately or ask the mobile home movers if there is a good way to secure the items within the house. The expert mobile home moving services will be able to help you in making the right decisions on how to keep all your valuable belongings safe and secure. Because moving a mobile home is such an expert process, we recommend reading mobile home moving company reviews prior to using any company. Hiring an experienced professional manufactured home transporter to help assist you in your process of moving your mobile home to a new location. We will help ensure everything goes as efficiently as possible. Mobile home re-locators are housing transporters. Specialized house movers are experts in this area and can explain what to expect..
We have the latest equipment to help with those tough jobs. Safety always has to be the number one priority when moving any home and you’ll have nothing to worry about if you follow the instructions and let the movers help your move be a success. To get your mobile home move underway, fill out our quote form today! Our company specializes in the field of mobile homes, our passion is to offer the best service to our customers. We provide transport service to mobile homes.Also if you do not have your mobile home, we have a large inventory from which you can choose the mobile home that suits your needs and budget. In a transport-only move the readied unit is attached to a towing vehicle, moved to the new location and unattached for about $700-$1,000 for a single-wide home moving up to 60 miles, $2,000-$2,500 for a double wide and $2,600-$3,500 for a triple wide, depending on the length and height of the home, the location, travel distance and local regulations. These rates are based on per-mile charges. Shorter distances will cost less, longer moves will cost more. 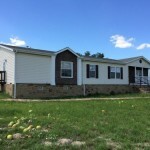 Full-service mobile home moves of about 60 miles that include disconnect, reconnect and transport will cost about $3,000-$5,000 for a single-wide unit, $4,000-$10,000 for a double-wide and $10,000-$14,000 or more for a triple-wide, depending on size and location. Taller homes with cathedral or gable roofs typically cost more to move because possible travel routes may be limited, often resulting in more miles. Moving companies typically charge about $4-$5.50 per mile for the towing vehicle and about $1.50-$1.65 per mile for the pilot cars, depending on distance and price of fuel. For example, Riley’s Transport in California will move a small single-wide mobile home within the state up to 60 miles starting about $1,000, depending on size and location. DIYers who choose to disconnect or reconnect the unit will need skirting tools, a plumber’s wrench ($15-$20) and plumbing knowledge. Call the local utility company to make sure electricity is turned off. Mobile home transport is best left to licensed movers as many details from correct-sized tow vehicle, lead cars permits, route selection based on side of load, and hookups must all be correctly completed. Mobile homes building standards are specific to the region in which they are built. Because winds, snow loads and rains vary greatly across the country, the homes should never be moved to an area with completely different weather patterns. The data plate on the mobile home will identify the unit’s proper zone. A transit-only move should include all necessary permits, liability insurance, lead and chase vehicles, hookup and transport to the new site, followed by unhooking at the end site. The client or agent will have removed all skirting, attached carports or sheds, and other utilities, along with packing of personal belongings. Often the original wheels on a mobile home unit have either been removed or are degraded. The professional moving company will check the condition of the wheels, tires, chassis and the axles. Any necessary repairs or rentals should be included in the price. Full-service movers will disconnect all utilities, skirting and attached structures, along with ensuring the tires and wheels are road ready. In addition, they should provide the necessary permits, liability insurance and lead and chase vehicles during transport. At the final site, all connections and setup is included. Permits are needed for each county and state through which the mobile home will be traveling. In areas where highway patrol escorts are needed or in areas where the size of the home requires a circuitous route, the costs will increase, depending on jurisdiction. The transportation departments in some states may deny permits if they deem the mobile home to be in poor condition. A moving checklist created by Boulder County, CO, lists penalties of $200 for not acquiring correct permits. Check for available moving or move-in credits from both the seller of the mobile home and the owner of the destination mobile home park. Prior to calling a mobile home mover, complete the mobile home information sheet created by the Champlain Valley Office of Economic Opportunity in Vermont, that includes many of the questions the mover will ask. Home Park Store keeps a list of movers by state . 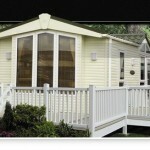 Please fill the form below to get a quote to move your mobile home..!!! Are you needing to move-a-mobile-manufactured-home-in-texas? You have come to the right place! We offer Statewide manufactured housing transport services. This entry was posted in mobile home transport and tagged in mobile home transport.